Pink MagaLine: Beach, Jacuzzi or Pool? I'd prefer the swimming pool because there I can swim. Beaches are only to flaunt bodies and have a tan cos water is too salty that I can't open my eyes properly after a good swim. Jacuzzi is pretty okay but there's only a few who can join in at the same time. Oh my! I'm definitely looking forward to having a vacation this summer! 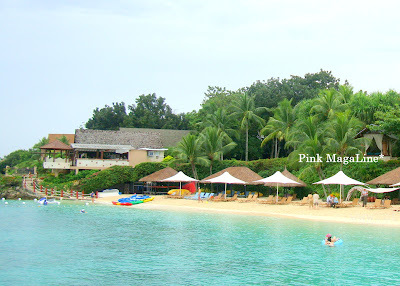 <3 Definitely white sand beaches and resorts! It really is becoming too hot nowadays and I find myself getting tempted to break out my daughter's mini plastic pool and wallow in it myself. Lol. Of those three, I prefer a pool, preferably a covered one at that so the hot sun wouldn't trigger migraine attacks in the middle of having fun. it was really hot this days, i wish i can go to the places you have mentioned, i love going to palawan and enjoy the summer breeze.